With the passing of every year, solar energy becomes more commonplace. Drive through any residential neighborhood or commercial area and you will notice solar panels on roofs, in yards, and attached to buildings. Between U.S. residential and commercial installations, there is enough solar energy to power 4.6 million homes! And with its swiftly growing demand, solar energy is delivering more than just power, it is fueling growth in the construction industry. According to the Solar Foundation, the U.S. added 35,000 jobs in the solar industry in 2015, bringing the total number of people employed by solar in the U.S. to 209,000. It’s hard to argue the fact that the solar industry is having a positive impact on the job market. In 2015, the solar industry added jobs almost 12 times faster than the national average, and wages for solar workers are growing too. Currently, the average solar installer earns $21 an hour and saw a 5% increase last year. Along with the expanse of the workforce and its wages, there is a corresponding increase in the need for skilled project supervisors and managers. The great news for the construction industry is that there is virtually no building project where solar can’t be incorporated. Homes, condos, offices, schools, hospitals, and stores can all implement solar projects. Even better is that these projects can include retrofitting solar to existing buildings or incorporating solar into new construction. 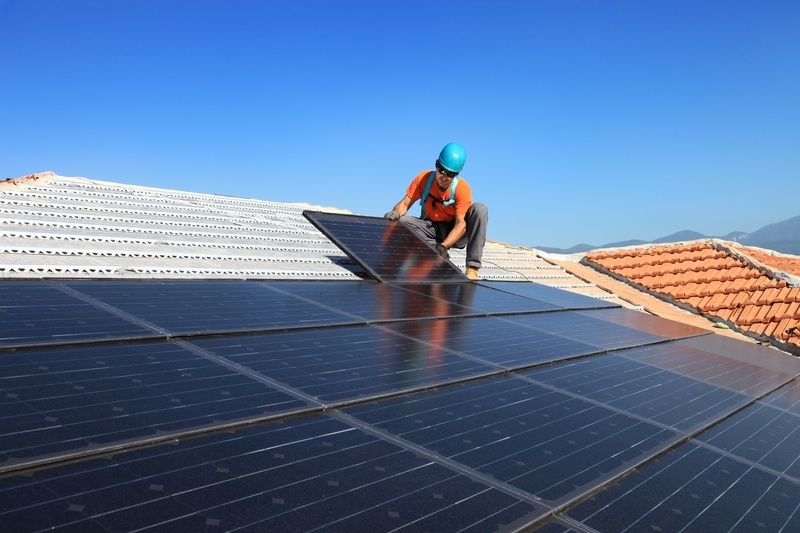 Solar construction is an excellent way to increase work, as it is attractive to consumers who see the savings on utilities and government incentive programs as a way to defray the costs of building, and it is more palatable to many than other forms of energy generation. Solar power may not stay on its meteoric path forever, but it’s certainly here to stay. Between 2013 and 2014, the United States saw a 34% increase in solar energy use, and In 2015, 40% of all new electricity-generating capacity came from solar, and those numbers continue to grow. Alliance Tire Group can help your construction business make the most out of the solar boom. Our long-lasting and incredibly reliable Galaxy Giraffe tire is perfect for use on telehandlers helping assemble rooftop panels, and our renowned Galaxy Beefy Baby is perfect for installs on the ground or moving materials around the site. While solar energy helps your customers lower their costs, contact your Alliance Tire representative to find out how our line of Galaxy Construction tires with their reputation for low total cost of ownership can help you reduce your costs and increase your profits. Steve started his career in the tire business as a warehouse delivery driver and now is a walking encyclopedia in industrial, forestry and ag tires. He serves as Product Manager for Alliance Tire Americas.